South Africa’s President Cyril Ramaphosa hailed defiant Palestinians during a memorial service held on Saturday for South African anti-apartheid icon Winnie Madikizela-Mandela. Madikizela-Mandela, 81, died on 2 April 2 after a long illness for which she had been in and out of the hospital since the start of the year. Madikizela-Mandela was the ex-wife of the late Nelson Mandela, South Africa’s first black president. She was one of the country’s greatest icons in the struggle against apartheid. 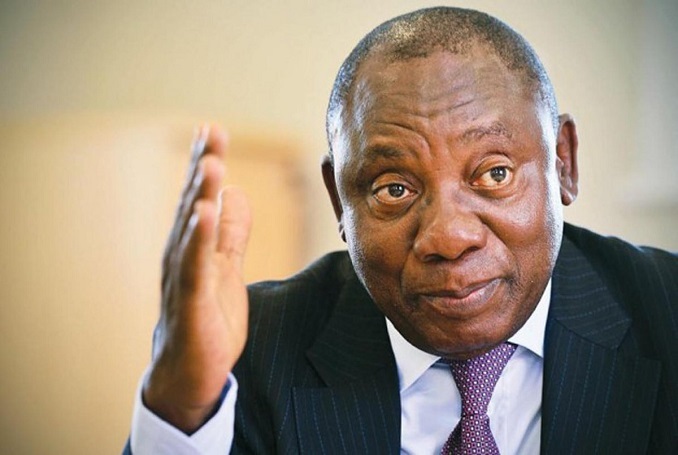 Be the first to comment on "South Africa President Hails Palestinians’ Resistance in Face of Israeli Aggression (VIDEO) #Palestine #GroupPalestine #israelTerrorists #boycottIsrael"